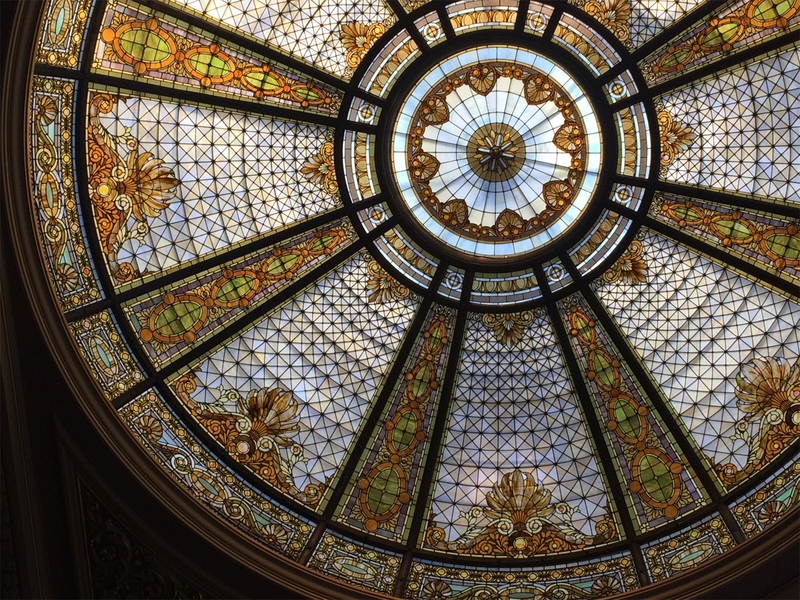 Helios Art Glass was contracted by Landmark Construction for the restoration of the stained glass at the Hibernia Bank at 1 Jones Street in San Francisco. 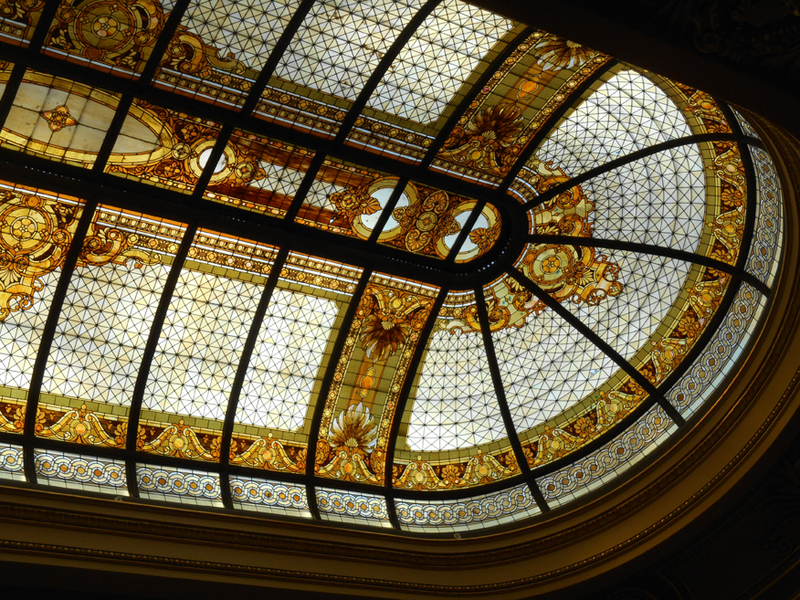 Our work involved the repair & restoration of two 510 square ft stained glass skylights. 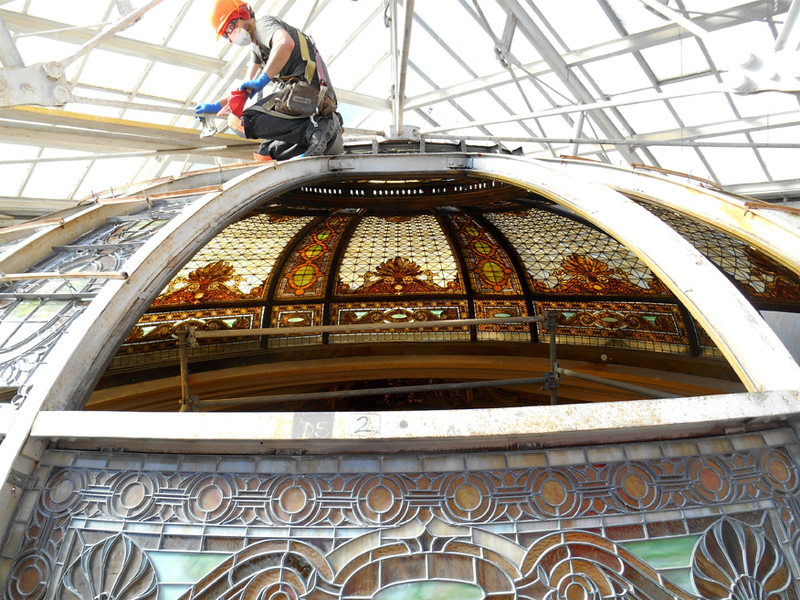 These domes are composed of opalescent glass and colonial zinc came. 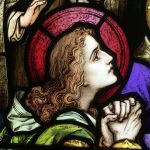 Their design and fabrication exemplifies early 20th century architectural stained glass craftsmanship at its best. Pitted against us were pigeons, vandals, and the ravages of time. We won.